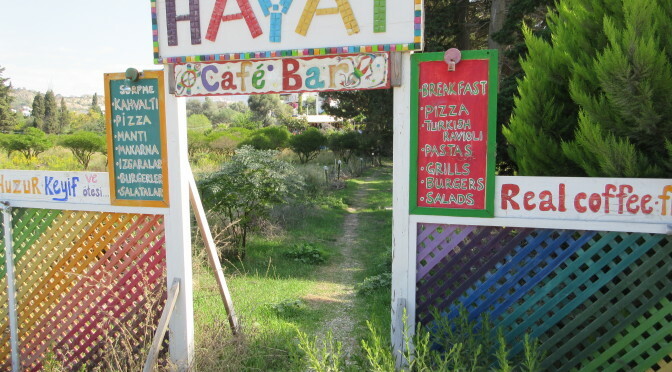 The Hayat Café sits amidst tangerine groves in a slightly elevated position, just a couple of hundred metres back from Gumusluk beach. Tables and chairs spread out along the hillside, and there’s a comfy ‘chill out’ area to one side of the restaurant and more seating under the tangerine trees just below the bar. As well as serving a variety of lunch and evening dishes the Hayat has an extensive breakfast menu. We sampled muesli with fresh fruit and yogurt, omelettes and spicy sausage, all of which were good, as was the filter coffee (though the latter cost 8tl each – always much more expensive than tea). Prices are average for Gumusluk: less expensive than the restaurants along the waterfront, but not so cheap as Mars Café. To reach the Hayat walk along the beach (sea to your right) past Club Gumusluk and the Jazz Café and you’ll see a sign directing you inland. Alternatively use the entrance on the Turgutreis road. 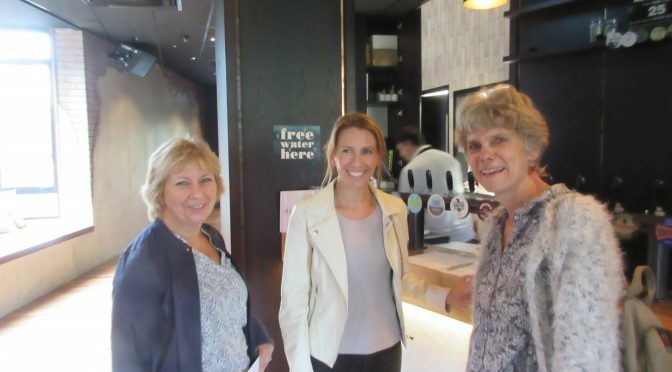 The Hayat is open from January to the end of October.